We're delighted to be working with leading Photonics Foundries, Design Houses, Software Developers & Packaging Specialists. Scroll Down for profiles of our partners. The HHI Photonic Component Department (PC) researches optochips and Photonic Integrated Circuits (PICs) for 100+ Gbit/sec data transmission and detection and sensor applications. The scientists offer production and development services in all of their activities to the German and international industry. As an example, if you already have a concrete optochip design in mind, the researchers offer additional consulting and would do design and fabrication iterations. Or if you start with a target spec, they would typically begin with a feasibility study and generate a design of their own. In all cases, they are able and willing to do initial production volumes in ISO certified, qualified production. Furthermore they offer e-beam services, and design-to-spec diffractive optical elements. Terahertz waves carry with them a multitude of potential applications e.g. in non destructive testing. Key advantage is the ability to cope with foam-like substances and to work without physical contact. This is important for modern, light weight materials and for in line process control e.g. in extruders at ~200°C. Fraunhofer HHI uses telecom technology to bring terahertz sensing from the lab table to a handheld technology. LioniX is a leading provider of innovative products based on micro/nano system technology (MNT) and MEMS. Our core technologies are integrated optics and micro-fluidics. Our customers operate in telecom, industrial process control, life sciences and space markets and include OEM’s, multinationals, VC start-up companies as well as research institutions from around the world. LioniX offers design to manufacturing and horizontal integration by partnering with MEMS/MST foundries and suppliers of complementary technologies, such as in (food) biotech/genomics, chemistry/pharmaceuticals and water technology. The combination of micro-fluidics and their integrated optics technology (TriPleX™) gives LioniX an unrivalled expertise in the emerging area of Lab-on-a-Chip. LioniX is a vertically integrated company that delivers a complete solution to its OEM customers: from initial design through volume manufacturing of products. In addition to combining the four companies, LioniX International has entered into strategic collaborations with partners in South Korea, facilitated by YMK Photonics, to enable it to provide high volume manufacturing of chips and assemblies. SMART Photonics is the world's first pure-play foundry for Indium Phosphide photonics semiconductors. We offer commercial Multi-Project Wafer (MPW) services on InP at very competitive rates. Headquartered in Eindhoven, The Netherlands, we are trusted by the world's leading companies, large and small. That's because of our proven track record in InP research, development and production. We've brought together just the right expertise in the right place at the right time. Indium phosphide chips are proving to be the best choice in many applications ranging from next generation low-power consumption data-centres to “intelligent pills” for medical diagnostics and high-accuracy drug dispensation. Integrated photonics also plays an increasingly important role in the aircraft industry, air quality monitoring and ultra-secure cryptography. 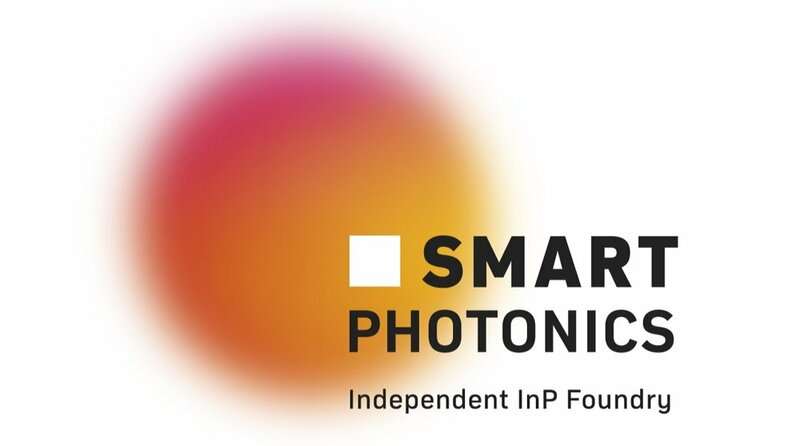 SMART Photonics offers a generic process developed in collaboration with the COBRA research institute, now part of the Institute for Photonic Integration. This allows for fast prototyping and low-cost development without compromising performance and functionality. VLC Photonics is an independent design house providing photonic integration services: consultancy and technical studies, optical chip design, in-house characterization and test, and complete prototyping through external manufacturing and packaging/assembly partners. Our expertise has been validated over +10 years working with large corporations and small start-ups or researchers, and our large network of foundry partners allow us to always target the most optimal technology. Our mission is to provide engineering solutions that allow our customers to harness the benefits of photonic integration, as well as to build up on our own technologies as well as the ones of our providers. application idea to packaged PIC prototype, or anywhere along this path where you need it. Synopsys technology is at the heart of innovations that are changing the way we live and work, such as the Internet of Things, autonomous cars, wearables, smart medical devices, secure financial services, and machine learning and computer vision. With the CODE V®, LightTools®, LucidShape®, RSoft™, and PhoeniX OptoDesigner products, Synopsys’ Optical Solutions Group is a leading software developer of design and analysis tools that model all aspects of light propagation, enabling users to produce accurate virtual prototypes leading to manufacturable optical and photonic systems. Synopsys delivers comprehensive solutions for the design of automotive exterior and interior lighting, information displays, automotive imaging, fiber optic communications and integrated photonics devices and systems. Synopsys’ 30 years of leadership in EDA, combined with PhoeniX OptoDesigner’s and the RSoft products’ 25 years of leadership in photonic design automation (PDA), positions Synopsys to provide a best-in-class photonic integrated circuit (PIC) design flow. We facilitate first-time-right PIC manufacturing. Our team of experts provides professional consulting services addressing customer-specific design, analysis and 0ptimization requirements, and delivers training courses on adequate modeling techniques and advanced software capabilities. Filarete S.r.l. is a company born from the experience in integrated photonic devices of the Optical Communication Group at Politecnico di Milano, Italy. Filarete S.r.l. has ASPIC, the first analytic simulator for photonic integrated circuits. Photon Design was started in 1992 to provide professional quality software to the photonics industry. At this time most laboratories and companies were developing their own in-house software - a strategy that clearly provides maximum flexibility but that has now become too expensive for all but the largest companies to fund. We have been growing our product range steadily since 1992 and now provide a wide range of photonics tools off the shelf, encompassing both active and passive photonics components. Much to our pride, our products are now in use by a wide number of telecoms companies and laboratories around the world, helping to develop the next generation of telecoms components. With our extensive experience in modelling we are also able to develop custom solutions for your special requirements based on components we already have and are happy to add modifications to our standard products. We have a team of the brightest people dedicated to developing new ways to solve even the most difficult of your theoretical problems. With over 10,000 mentions in patents and academic papers, Lumerical is a recognized leader in photonics. We envision a future where photonics is all-pervasive, and foster innovation by delivering inventive, highly accurate, and cost-effective photonics design solutions. With Lumerical software, scientists worldwide create, test, and optimize their product designs without the need to craft physical prototypes. Our component designs tools use highly automated, multiphysics-style simulation flows to model optical, electrical and thermal effects at the physical level. Device simulations can be combined with performance and characterization data into calibrated Compact Model Libraries, which are leveraged by our system design tools to simulate and optimize the performance of complex photonic integrated circuits. Since our founding in 2003, Lumerical maintains a strong customer-focused approach, highlighted in our foundry and EDA partnerships. Lumerical maintains foundry-specific Compact Model Libraries with prominent Silicon, InP and SiN foundries, and supports close integration with major EDA tools. Through our partnership network our customers, from start-up to enterprise, decrease their development cost and time-to-market, and design with confidence. Luceda Photonics provides design tools and services to the integrated photonics industry. We want photonic IC engineers to enjoy the same first-time-right design experience as electronic IC designers. Luceda Photonics’ tools and services are rooted in over 50 years of experience in photonic integrated circuit (PIC) design. The team’s expertise in the development of process design kits (PDK) and the design and validation of photonic integrated circuits is used by several research institutes and industrial R&D teams worldwide. The company started as spin-off from imec, the photonics group of the UGent and the VUB. Cordon Electronics is a diversified technology company which offers a broad range of products and services (design, engineering, manufacturing and repair) in particular for the Telecom, Aerospace and Defense markets. Cordon Electronics puts a strong emphasis on quality (ISO 9001 certification), safety, security and environmental aspects to fit with the customers qualification processes. Linkra is certified ISO 9001:2008 and TL9000. Cordon Electronics takes care about the protection of the Environment and puts in place all necessary actions to ensure that its activities do not bring additional environmental impacts, by controlling the consumption of natural resources, and the attention of the compliance with the regulations governing hazardous substances to humans and the environment. In addition, the management of the waste isimplemented in such a way as to ensure that they cannot interfere with the environment, and with a management oriented to recovery, reuse and recycling of materials, in order to ensure a greater degree of protection of human health and the environment. Cordon Electronics is certified ISO 14001:2004 since 2006. Technobis targets small, medium and large sized companies, universities and other knowledge institutes, mostly in Europe but with the desire to go worldwide. Technobis seeks opportunities for contract research, supply to larger (OEM) companies, system and application development through international development programs, challenged by fundamental limits. Such contracts are served in many cases by assistance of strategic alliances mostly in high-tech industry, aerospace, automotive and medical markets.